How do I find my serial number / SNID? To avoid confusion, serial numbers on Acer computers will not use the letter "O", they will only use the number "0". What is the difference between the serial number and SNID? 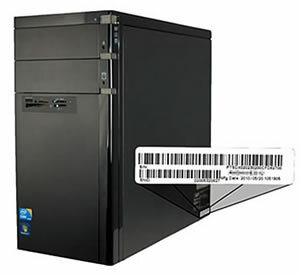 You can use either the serial number or the SNID to identify your computer when contacting Acer for technical assistance. The serial number has twenty-two characters (numbers and letters). Where are the serial number and SNID located on my notebook or netbook? The serial number and SNID are both printed on a white label underneath the computer. Where are the serial number and SNID located on my desktop? The serial number and SNID are both printed on a white label near the bottom of the right-hand side panel. 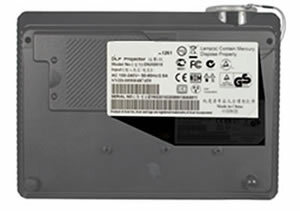 For computers that shipped with the Microsoft® Windows® 7 Operating System, Acer provides an application entitled Identity Card, which can be used to display the serial number for your computer. Alternatively, the serial number will be located in the BIOS which can be entered by pressing the F2 key when powering on the computer. Where are the serial number and SNID located on my monitor? The serial number and SNID are both printed on a white label on the rear of your Acer monitor. Where are the serial number and SNID located on my projector? The serial number and SNID are both printed on a white label underneath your Acer projector. Where are the serial number and SNID located on my Acer TV? The serial number and SNID are both printed on a white label on the rear of your Acer television. How to find my OS? 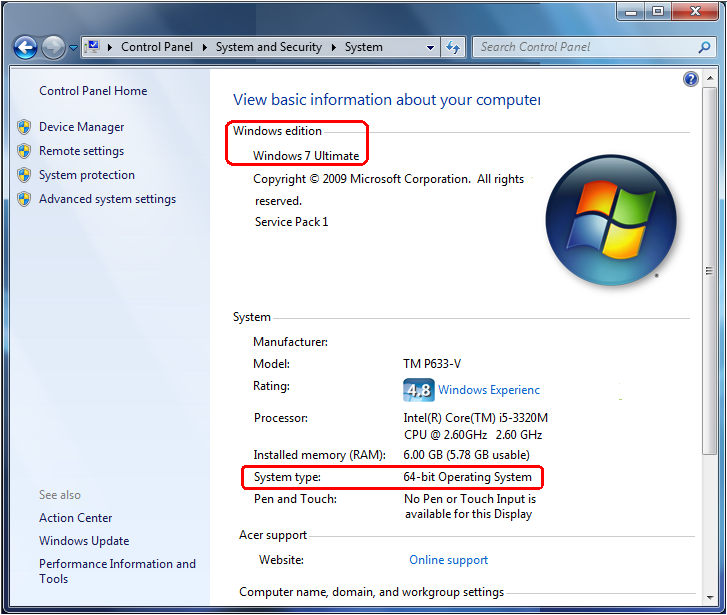 To find out which version of Windows you are using, please click Start > Control Panel > System and Security > System. You will be able to see the version of Windows your computer is running on the window that opens. 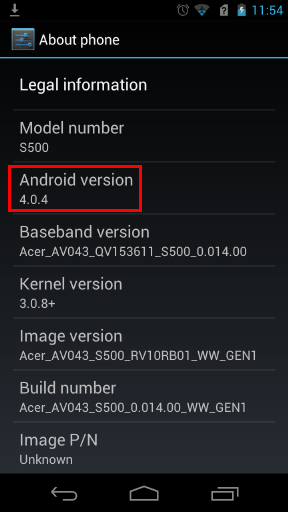 Open the Apps list and tap Settings > About phone / About tablet. 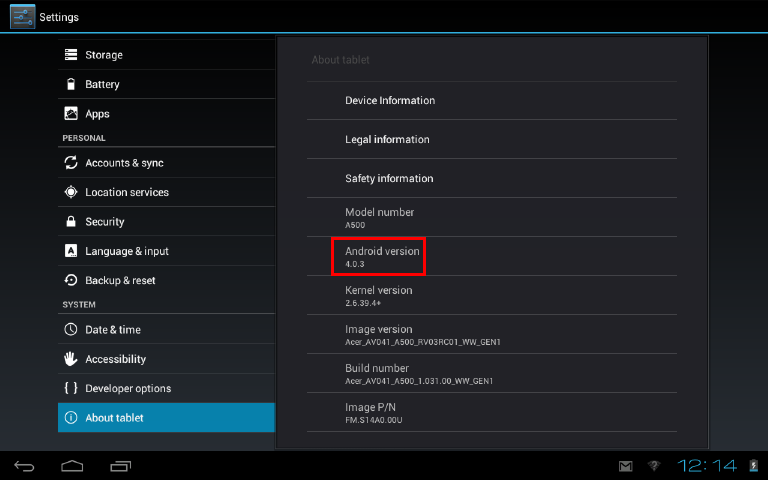 Look under Android version to see which version your phone is running.